It had been quite a week as my friend Lisa and I started in Indianapolis and then went on to Cedar Falls. We had discovered a new spa (Evan Todd), a new fruit (pawpaws) and a new beer (Rockmill Brewery), but nothing quite prepared us for what we would see when we arrived in Chicago. We had another great breakfast (homemade quiche and blueberry muffins) at the Inn at Cedar Falls before saying goodbye to Hocking Hills and hitting the road. It was a long drive to Chicago, but there was something quite exciting waiting on the other end. 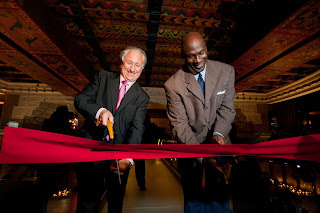 I had snagged an exclusive invitation to the Grand Opening of Michael Jordan’s Steakhouse at the Intercontinental Hotel on Michigan Avenue. I have been to celebrity events before and although this one was a bit more sports oriented in its attendees, it felt more celebratory than any I had seen. As the valet opened the door to my Santa Fe, the cameras started snapping us walking down the red carpet as if we were the stars of the evening! The truth is, it was one of those events where you felt like everyone could be a star and not even the paparazzi wanted to take a chance and miss getting a picture of someone. 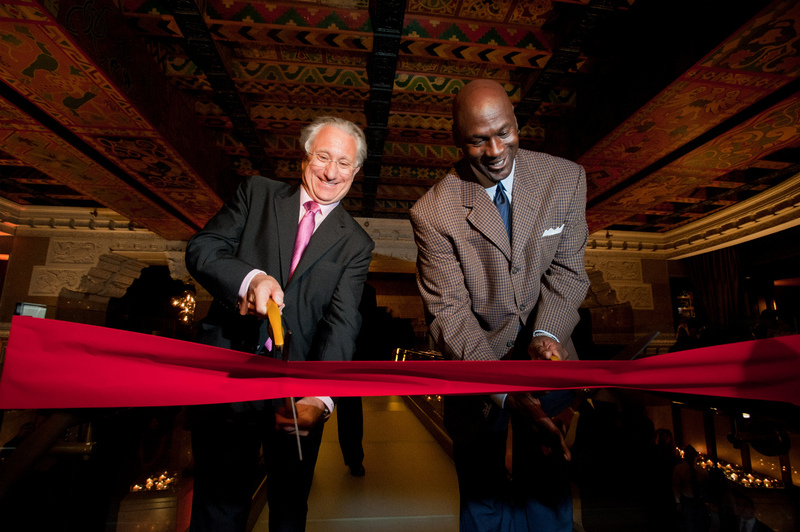 It has never been clearer to me just how much of a hero Michael Jordan is to Chicago than at the opening to his restaurant. He is the man who helped the Bulls earn six NBA titles, and even played for the Chicago White Sox minor league baseball team for awhile. Most of all, he is the man everyone wants to see and MJ obliged, putting himself in the middle of the party action. He and Scottie Pippin shook hands, posed for photos and greeted all the guests as if they were still on the basketball court. Lisa and I mingled through the group of celebrity athletes and even spent some time talking with Jamie Blythe, a former Bachelorette. It was all a bit surreal and so different from the woodsy location we had left in Ohio, where we didn’t even have televisions or phone service in our cabin. Some people don’t understand when I say I liked both experiences equally, but I do. 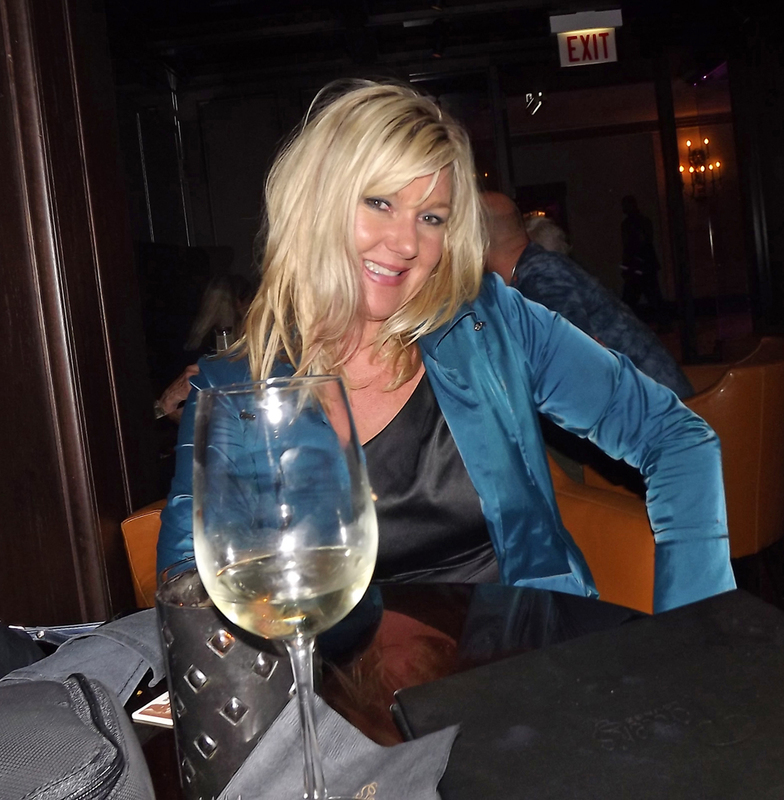 A quiet evening with a friend and a bottle of wine is just as fun as a red carpet event. Variety is the spice of life! 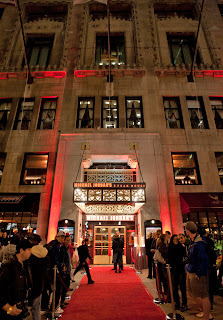 As for the restaurant itself, it’s beautiful, decorated in red and black, just like the Chicago Bulls. 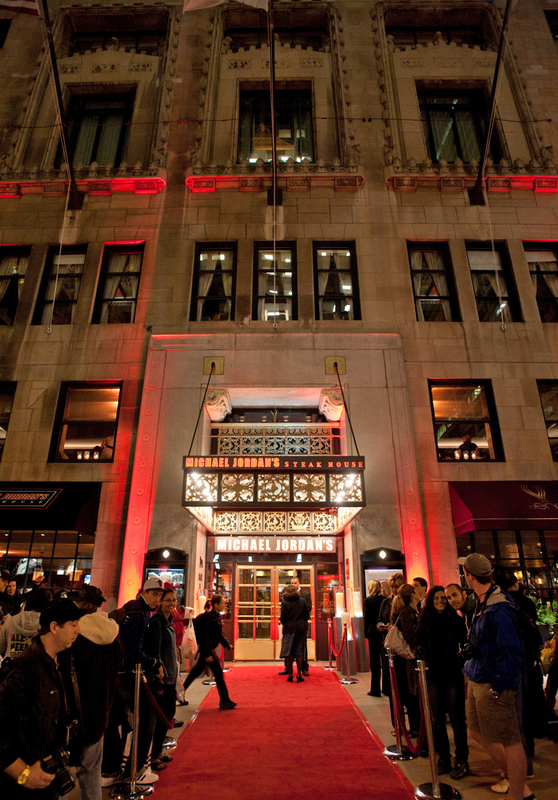 The cozy bar on the first floor is inviting. We had some tender lamb chops, but didn’t really sample enough food for me to give a full opinion on the menu of Chef James O’Donnell. I’m hoping to actually have a dinner there in the future. We spent the night at the Palmer House Hilton before my Midwest adventure with Lisa was over (though I predict we will have more outings in the future) and it was time to head home. After all, I only had a few days before I was heading off to Colorado.